“I enjoy the competition and sportsmanship I see in the athletes. They play hard, like anyone would,” says Farris. 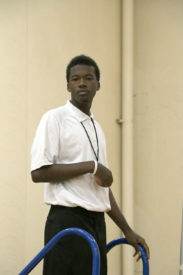 Farris had experience with Special Olympics Illinois athletes before. 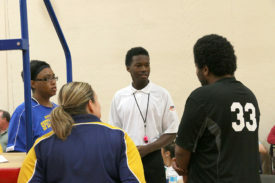 The first Special Olympics Illinois event Farris officiated was at the 2016 Area Basketball Tournament. Working with special needs people is something Farris is personally passionate about. He aspires to go to college to become a special education teacher. He has shadowed special education teachers in his community to understand the occupation in more depth. His ultimate goal is to show that “there is no difference [between Special Olympic athletes and their counterparts] at all. They are always just two teams competing against each other with a common goal: to play a game they love. Even with their challenges, they can do anything,” says Farris. Farris wishes to continue officiating for Special Olympics Illinois as long as he can. This fresh face may become a regular at future events. 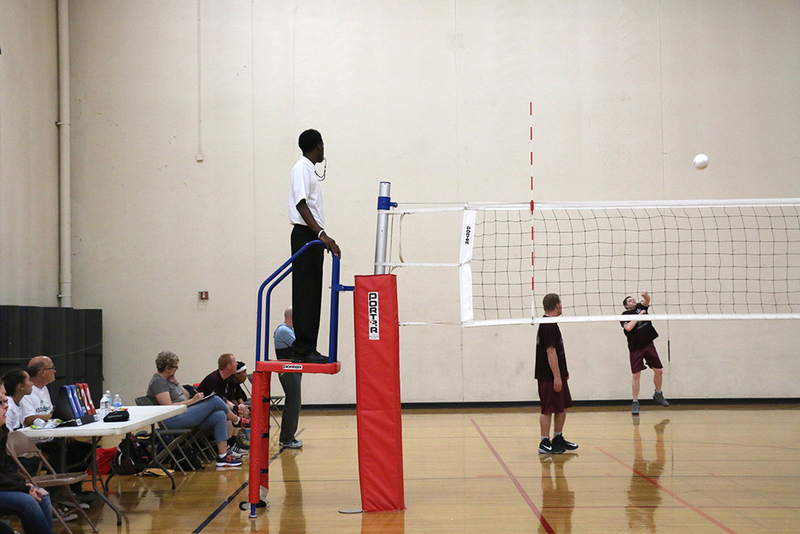 If you’d like to officiate at Special Olympics Illinois competitions, please contact David Shindley.